Your use of Reman Auto Electronics websites constitutes your agreement to follow the Terms & Conditions. Please take a moment to review them. Thank you. 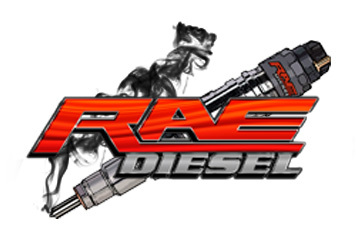 RAE offers quality remanufactured parts to our customers with no upfront core charge! We ask that your cores are returned within 30 days of the order. For domestic orders, we will provide you with a prepaid return shipping label to send back your cores. Once you receive the remanufactured unit, place the old/used core back in the same box and include a copy of your invoice, packing slip, or order confirmation. Ensure that all critical components are protected, such as encoder sensors and nozzle tips. Properly seal the box with the cores and invoice enclosed and place the prepaid shipping label visibly and securely on the box. Then proceed to drop off the package at your nearest UPS store. Cores are inspected upon arrival according to the core criteria listed below. If they fail to meet the criteria, we will notify you with available options. We promise to be open and transparent with our operations. After 30 days, we will notify and charge you for the cores. If you require extra time, you must notify us before the 30 day deadline. If you still wish to return your cores, we will be able to offer you in-store credit. Please contact us if you have any questions or concerns and we will be more than happy to assist you. Due to the nature of our products, we will not issue any refunds after the purchase of a unit. If you have any question or concerns regarding your part or application, please contact us before making your purchase. If you ordered the wrong part we will exchange it for the correct part if you notify us within 7 days of delivery. We will not be responsible for the return shipping charges associated with the exchange. All exchanges must have prior approval and accompanied by a copy of the original invoice. All components are quality checked and tested before shipment. Once a customer accepts the shipment, there will be no refunds allowed. Reman Auto Electronics LLC web sites and services are provided to you subject to the terms and conditions listed here. By accessing and using any web sites or services owned or operated by Reman Auto Electronics, you agree to be legally bound by the terms and conditions of use. If you do not agree and comply with any of the terms and conditions, please do not use any of the web sites and services provided by Reman Auto Electronics. However, we would still love to be of assistance. Feel free to call us at 855.723.5755 for any questions or concerns. All content included on the Web Sites, such as text, graphics, logos, button icons, images, audio clips, and software, is the owned or licensed property of Reman Auto Electronics LLC or its content suppliers and protected by United States and international copyright laws. The compilation (meaning the collection, arrangement, and assembly) of all content on the Web Sites is the exclusive property of Reman Auto Electronics LLC and is protected by United States and international copyright laws as well as by state and federal trade dress laws. All software used on the Web Sites is the property of Reman Auto Electronics or its software suppliers and protected by United States and international copyright laws. The content and software on the Web Sites may be used as a shopping and automotive information resource. Any other use, including the reproduction, modification, distribution, transmission, republication, display, or performance, of the content on the Web Sites is strictly prohibited. You may not copy, download, reproduce, modify, publish, distribute, transmit, transfer or create derivative works from the content, nor any portion thereof, without first obtaining written permission from Reman Auto Electronics. Reman Auto Electronics neither warrants nor represents that your use of the content and materials displayed on the Web Sites will not infringe rights of third parties. Neither the Web Sites nor any portion of the Web Sites may be reproduced, duplicated, copied, sold, resold, or otherwise exploited for any commercial purpose that is not expressly permitted by Reman Auto Electronics. Reman Auto Electronics reserves the right to refuse service, terminate accounts, and/or cancel orders in its discretion, including, without limitation, if Reman Auto Electronics believes that customer conduct violates applicable law or is harmful to the interests of Reman Auto Electronics. Any framing of the contents of any of the Web Sites without the prior written permission of Reman Auto Electronics is strictly prohibited. Reman Auto Electronics and its suppliers make no representation about the suitability of the information contained in the documents, information and related graphics published on this server for any purpose. All documents, information and related graphics are provided "as is" without warranty of any kind. Reman Auto Electronics and its suppliers hereby disclaim all warranties and conditions with regard to this information, including all implied warranties and conditions of merchantability, fitness for a particular purpose, title and non-infringement. In no event shall Reman Auto Electronics or suppliers be liable for any special, indirect or consequential damages or any damages whatsoever resulting from loss of use, data or profits, whether in an action of contract, negligence or other tortuous action, arising out of or in connection with the use or performance of software, documents, provision of or failure to provide services, or information available from the Web Sites or the servers which host the Web Sites. The documents, information and related graphics published on the Web Sites or the servers which host the Web Sites could include technical inaccuracies or typographical errors. Changes are periodically added to the information herein. Reman Auto Electronics and its suppliers may make improvements or changes in the product(s) and/or service(s) described on the Web Sites at any time. Further, Reman Auto Electronics assumes no responsibility and shall not be liable for any damages to, or resulting from any viruses that may infect, your computer equipment or other property on account of your access to, use of, or browsing in the Web Sites, or your downloading of any materials, data, text, images, video, or audio from the Web Sites. Reman Auto Electronics does not accept or consider unsolicited ideas, including ideas for new advertising campaigns, new promotions, new products or technologies, processes, materials, marketing plans or new product names. Please do not send any original creative artwork, samples, demos, or other works. The sole purpose of this policy is to avoid potential misunderstandings or disputes when Reman Auto Electronics' products or marketing strategies might seem similar to ideas submitted to Reman Auto Electronics. Please do not send your unsolicited ideas to Reman Auto Electronics or anyone at Reman Auto Electronics. If, despite this request, you still send any of your ideas or concepts, Reman Auto Electronics makes no assurances that your ideas and materials will be treated as confidential or proprietary. This site is created and controlled by Reman Auto Electronics LLC. in the State of Michigan, USA. As such, the laws of the State of Michigan will govern these disclaimers, terms, and conditions, without giving effect to any principles of conflicts of laws. Reman Auto Electronics LLC reserves the right to make changes to this site and these disclaimers, terms, and conditions at any time. Information about Reman Auto Electronics products on the Web Sites attempts to be as accurate as possible. However, Reman Auto Electronics does not warrant that product descriptions or other content of the Web Sites is accurate, complete, reliable, current, or error-free. Despite Reman Auto Electronics' efforts, it is possible due to computer or other error or cause that a product offered on any of the Web Sites may be mispriced or contain an inaccuracy in its description. In the event Reman Auto Electronics determines that a product is mispriced or contains an inaccurate description, Reman Auto Electronics reserves the right to take any action it deems reasonable and necessary, in its sole discretion, to rectify the error. You agree to notify Reman Auto Electronics immediately if you become aware of any pricing or descriptive errors or inconsistencies with any products. When you place an order through any of the Web Sites, you agree to comply with any corrective action taken by Reman Auto Electronics. Reman Auto Electronics invoices on the Web Sites attempt to be as accurate as possible. However, Reman Auto Electronics does not warrant that invoices or other content of the Web Sites is accurate, complete, reliable, current, or error-free. Despite Reman Auto Electronics' efforts, it is possible due to computer or other error or cause that an invoice provided on one of the Web Sites may be incorrect or contain an inaccuracy. In the event Reman Auto Electronics determines that an invoice is incorrect or contains an inaccuracy, Reman Auto Electronics reserves the right to take any action it deems reasonable and necessary, in its sole discretion, to rectify the error. You agree to notify Reman Auto Electronics immediately if you become aware of any errors or inconsistencies with any invoices provided to you through any of the Web Sites and to comply with any corrective action taken by Reman Auto Electronics. Each customer who provides their credit card information over-the-phone or online agrees to the total amount on their invoice and/or purchase order. As a customer, you agree to pay for your purchase and indemnity and hold Reman Auto Electronics LLC harmless against any liability pursuant to the authorization. Your electronic signature on the agreement form will serve as authorized signature on the credit card charge slip. REMAN AUTO ELECTRONICS DOES NOT REPRESENT OR WARRANT THAT PRICING OR INVOICES ON ANY OF THE WEB SITES ARE ACCURATE, COMPLETE, RELIABLE, CURRENT, ERROR-FREE, SUBJECT TO CORRECTION. REMAN AUTO ELECTRONICS IS NOT RESPONSIBLE FOR TYPOGRAPHICAL ERRORS OR OMISSIONS RELATING TO PRICING, YOUR ACCOUNT INVOICES, TEXT, OR PHOTOGRAPHY. YOU ACKNOWLEDGE BY ACCESSING ANY OF THE WEB SITES THAT THE PRICING MAY NOT BE ACCURATE AND THAT YOU NEED TO CONTACT YOUR REMAN AUTO ELECTRONICS REPRESENTATIVE, FOR CORRECT PRICING. YOU FURTHER ACKNOWLEDGE BY ACCESSING ANY OF THE WEB SITE STHAT YOUR ACCOUNT INVOICES MAY NOT BE ACCURATE AND THAT YOU NEED TO CONTACT YOUR REMAN AUTO ELECTRONICS COMMERCIAL REPRESENTATIVE FOR CORRECT ACCOUNT INFORMATION. It is solely your responsibility to evaluate the accuracy, completeness, and usefulness of all opinions, advice, services, merchandise, and other information provided on or through the Web Sites or on the Internet generally. The Internet contains unedited materials, some of which are sexually explicit or may be offensive to you. You access such materials at your risk. Reman Auto Electronics has no control over and accepts no responsibility whatsoever for such materials.